An exotic and enticing blend of lightweight coconut oil to nourish strands along with hydrating bamboo extract for hair that is soft, touchable and healthier looking with each use. What You do... 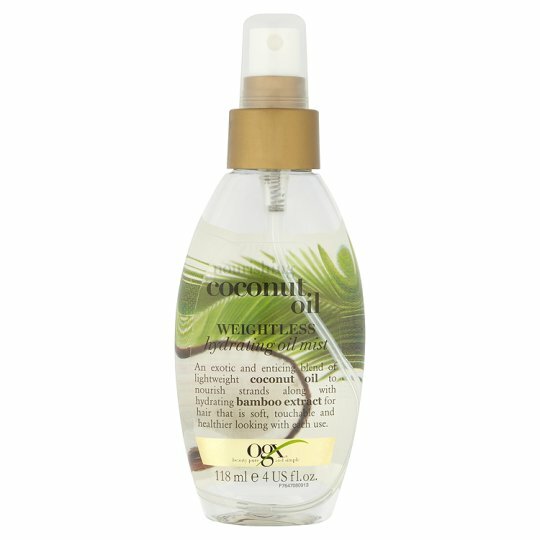 Apply Weightless Hydrating Oil Mist generously to clean towel dried hair and style as desired. Can also be applied to dry hair to tame fly-a-ways and add shine throughout your day! For best results use in conjunction with other Coconut Oil products. Warning: Avoid contact with eyes. If contact occurs, rinse immediately.